​FACADE is an on-site installation. 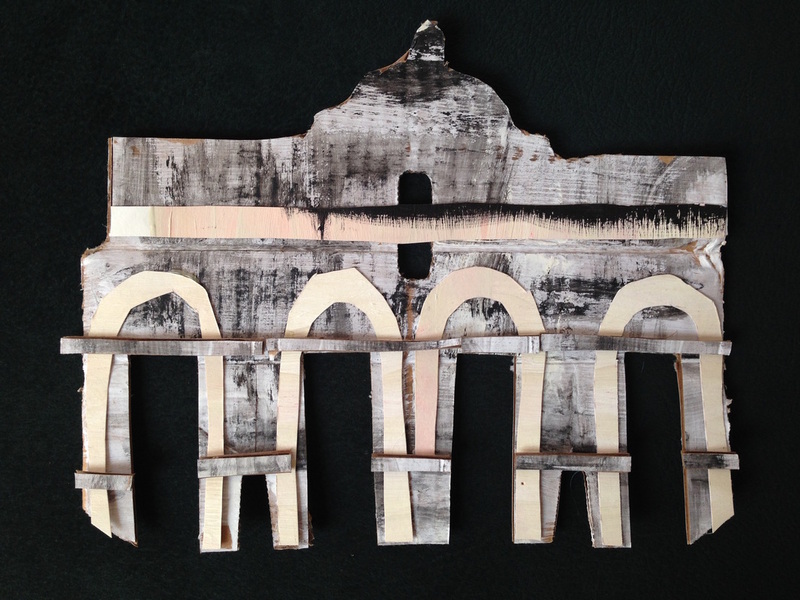 Using found objects and discarded cardboard, I am installing directly into the facade of the gallery, and along the front interior walls. I use the term “facade” as literal term for the face of a building, and as the adverb, for the face we are putting on. 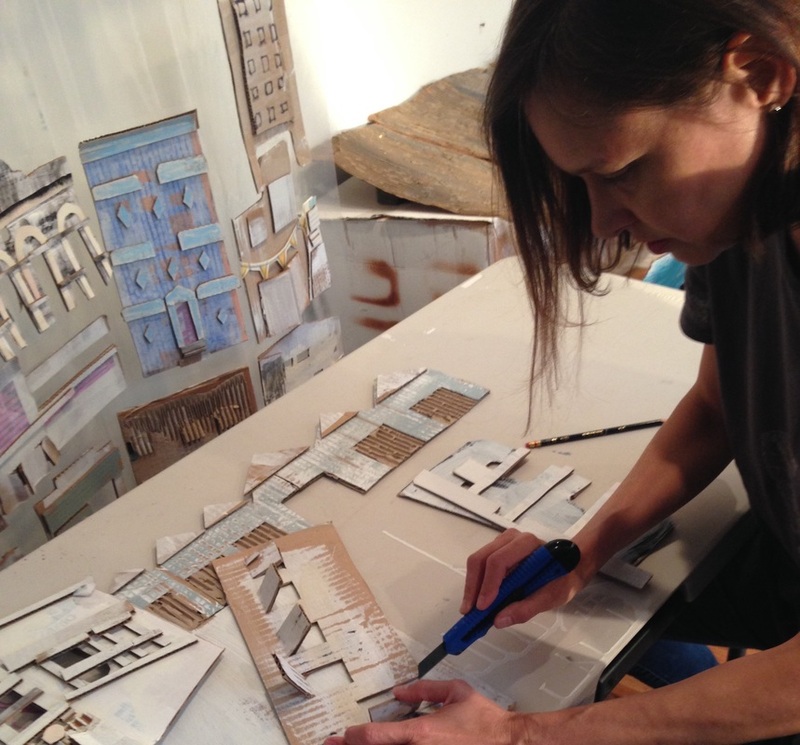 I have been using cardboard to create miniature structures for years. 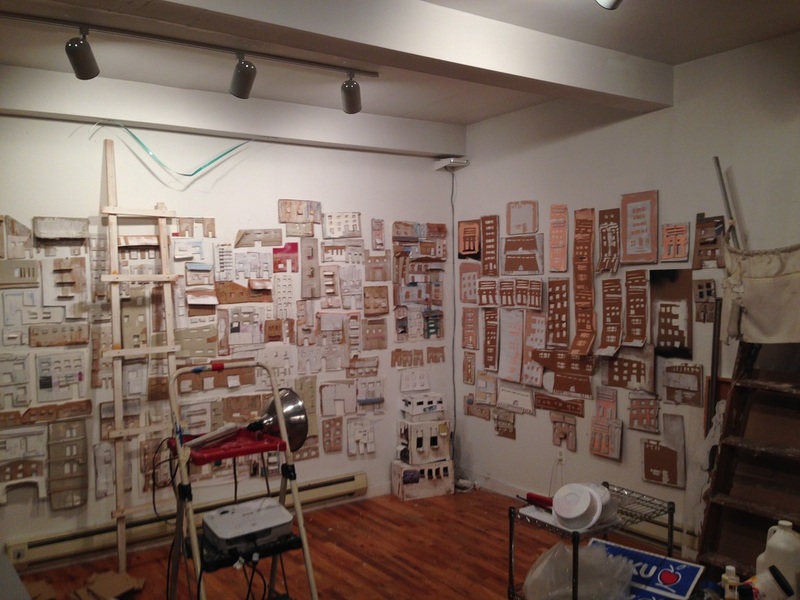 My shantytown diorama called the ArtNeighborhood raises questions about facades. On the outside a shantytown speaks of deprivation but on the inside there are real people with real love, wanting the same things we all do. ​What I like about facades is that conceptually, I am not working with an empty shell- and what is outside is not always what is inside. People commonly say “it is what is on the inside that counts”, yet often in our society what we see is the facade, the mask people wear. This mask may endeavor to express either what we are inside, what we wish we were inside, or something else entirely. Ludwig's Facade "Grand St & Kent Ave". In the on-site installation each building facade is similar in size to that of a mask. They bring to mind African masks which are used in religious and social events to represent the spirits of ancestors or to control the good and evil forces in the community. Ijaw Nigerian Hippo Mask (photo: Aaoarts) with Ludwig's Facade "Hippo Mask". Songe Mask, Repubic of Zaire (photo: Aptos Cruz Galleries) with Ludwig's Facade "Songe Mask". Songye Peoples, Democratic Republic of the Congo (photo: Smithsonian National Museum of African Art) with Ludwig's Facade "Songye Peoples". Mask Otobo, Nationalism Ijaw, Nigeria, British Museum, London (photo: Pavel Payusov) with Ludwig's Facade "Mask Otobo". 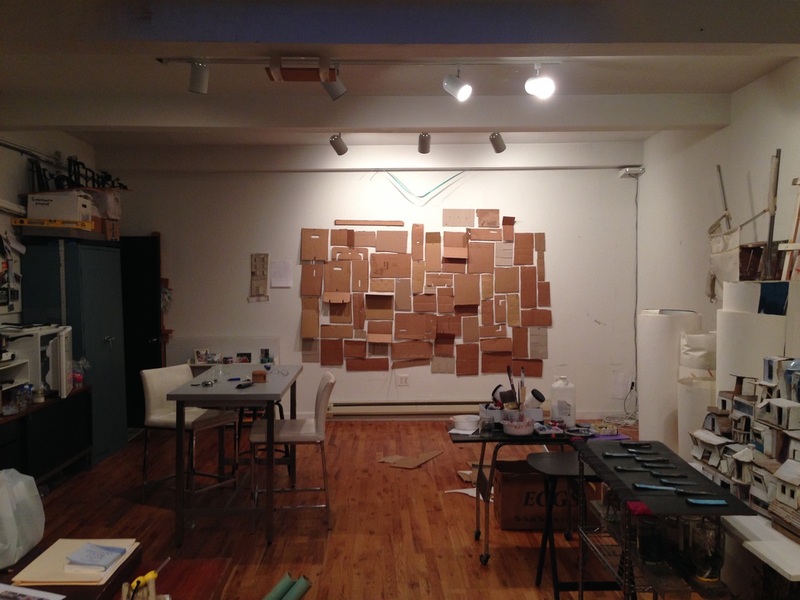 Working with cardboard I find humor in my process and give myself the title of “Cardboard Whisperer”. I will look at the material and try and pull out what is already there. Like Michelangelo revealing the sculpture that is already in the stone, I amuse myself with the same method. This process creates unique pieces, like people, no two are exactly the same. I hope that the facades resonate personally with the viewer, seeing each piece with a personality. Lisa Ludwig’s Facade©2016 All Rights Reserved.